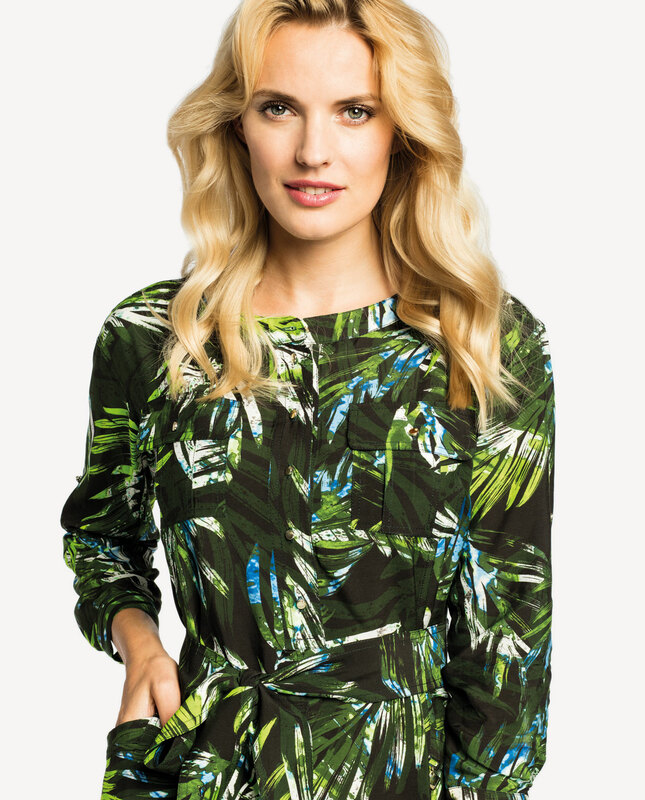 Elegant green shirt dress featuring a floral print. Fastened with a row of golden buttons at the front. A belt provides for a touch of personality, accentuating your body curves and creating the desired hourglass shape. Subtle pockets on the top. 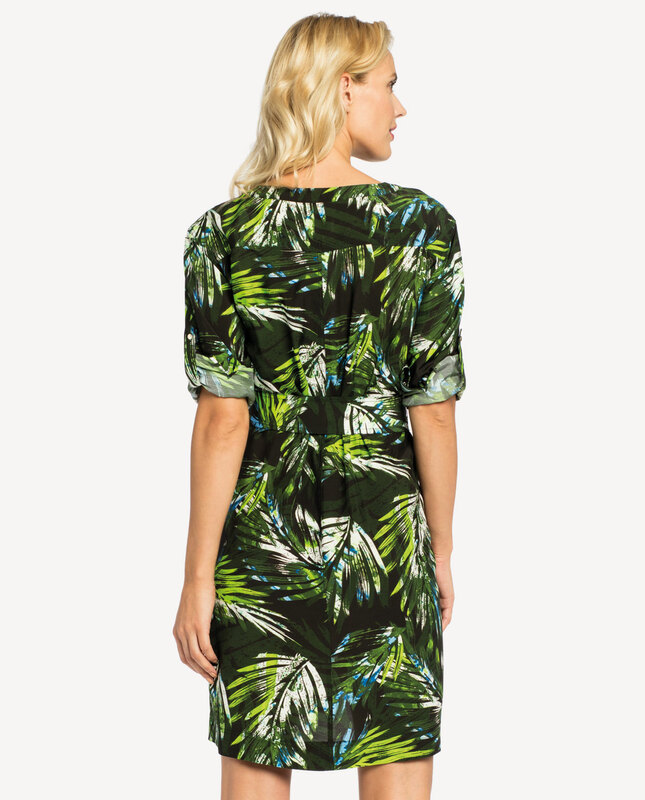 This dress will prove versatile and appropriate in just about every situation. This style is comfortable to wear and looks genuinely smart. An absolute must-have in your wardrobe, both as business wear and a casual outfit. Sliding pockets in the sides. Long sleeves can be rolled up.